Forward Cameron Zurhaar's impressive debut season has earned him a one-year contract extension with North Melbourne. Zurhaar joined North on a one-year deal when he was selected at pick No.11 in last year's NAB AFL Rookie Draft. 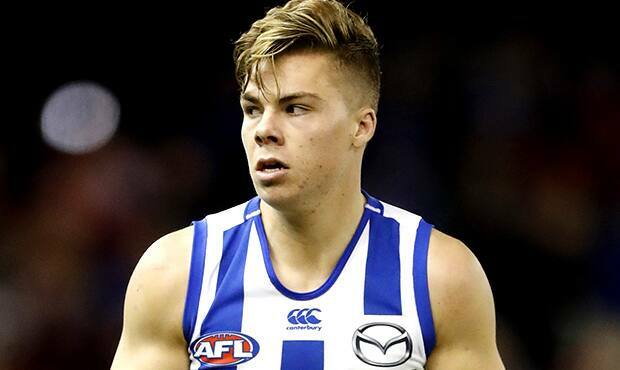 The 19-year-old West Australian said on Thursday he had felt a lot of pressure this season knowing he had one year to prove himself, but was "pretty stoked" to sign on with the Roos for 2018. "I love the club, I'm happy here in Melbourne, it's gone really quick. It's already 11 months in, it's pretty crazy, I'm good mates with all the players here now," Zurhaar said. "There's a lot of pressure because you only have a one-year deal. You're just hoping for another year and to get some good games under your belt. "I had high expectations going into the season and set some pretty ambitious targets. I was hoping to make my debut but wasn't sure if I would, given the amount of young talented players we have on the list." Zurhaar quickly set about making his ambitions reality when he arrived at Arden St.
At 188cm and 81kg, the strongly built rookie looked physically ready for senior football from day one and, after an impressive pre-season, earned a spot in North's second JLT Community Series game, against Hawthorn. He continued to impress in the VFL with Werribee when the 2017 season got underway and after 10 games was called up to make his AFL debut in round 17 against Port Adelaide at the Adelaide Oval. With Port fans in full voice that afternoon, Zurhaar and North had a tough day. The forward struggled to adjust to the frantic tempo set by the Power, finishing with six possessions and one behind. Things went little better for the Roos, who were never in the game after Port rattled on eight goals in the first quarter to set up a 70-point win. North stuck with Zurhaar, however, and he looked far more at home a week later against Essendon. As the injury-depleted Kangaroos gave the Bombers a serious scare, Zurhaar had 10 possessions, three inside 50s, two clearances, a behind, and a goal assist. Most excitingly, though, he gave North fans a glimpse of his explosive power early in the second quarter, when he fended Mark Baguley off in the middle ground and took off towards the Roos' forward 50. "Game two (against Essendon) was a lot better obviously because we didn't lose by 70 points. I was much more comfortable out there in the position I was in, especially having Ben Brown and Nathan Hrovat around me because they just talk the whole game and tell you what to do and where to be," Zurhaar said. Zurhaar has been one of 10 debutants this year at Arden St as the Kangaroos have looked to give their team a heavy infusion of young blood. 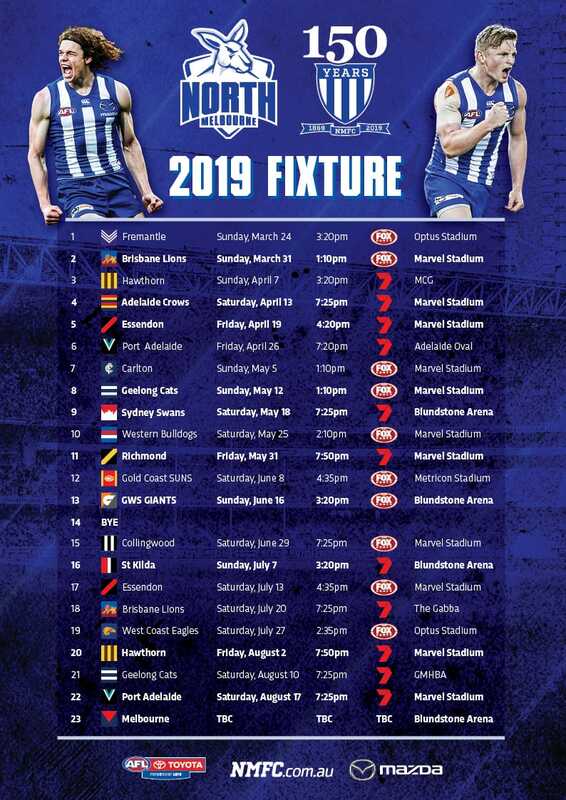 Although North has only four wins to show from its first 17 games, the East Fremantle product says the mood at the club remains upbeat. "We're all really tight and we all get around each other. Because we are all pretty young, the group is one and we're not split up at all," Zurhaar says. "When someone gets a game, everyone else is genuinely happy for them. There's no bitterness or jealousy because we're all so close together."